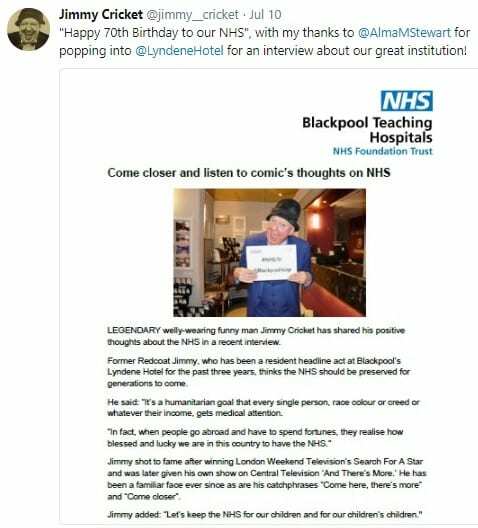 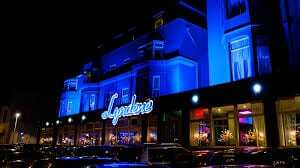 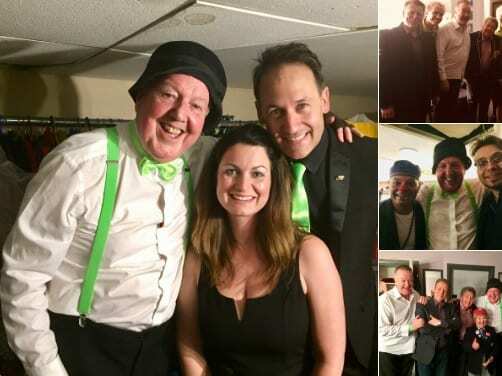 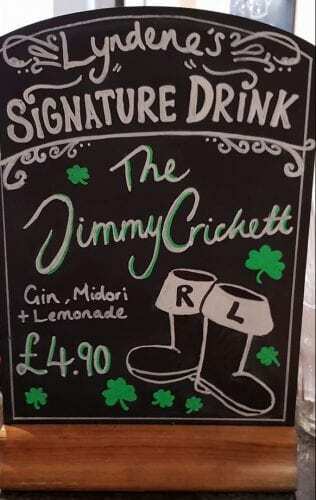 Jimmy Cricket is lined up to do 23 more dates next year at the popular Lyndene Hotel in Blackpool. 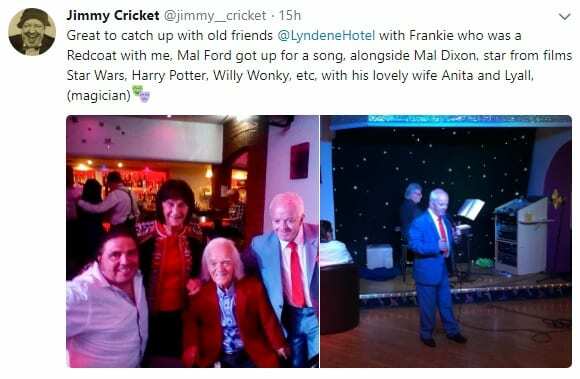 Much-loved Northern Irish comedian Jimmy, 72, has done many shows over the past few years at the hotel on the Promenade. 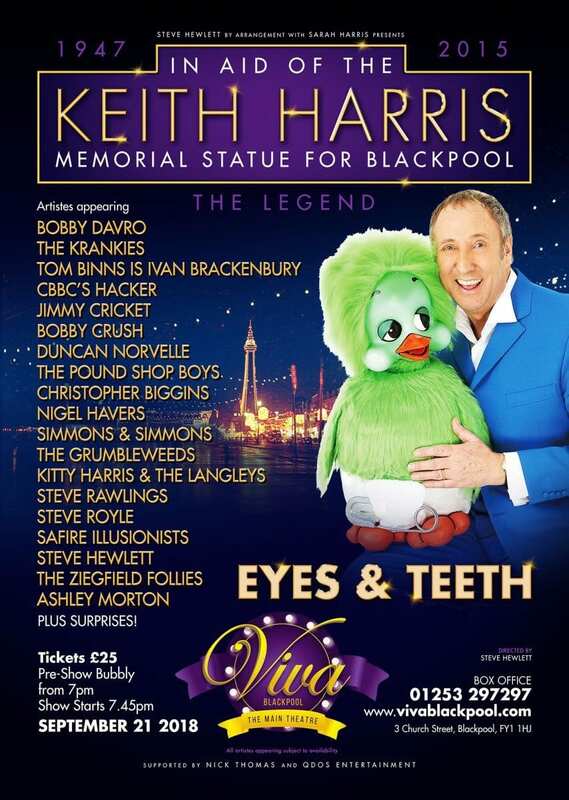 And he will be performing there again regularly during 2019 – see all the dates below. 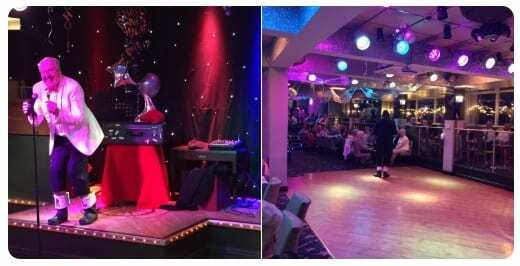 Jimmy has two dates at the west Lancashire hotel before Christmas – on Saturday 1 December and Wednesday 5 December. 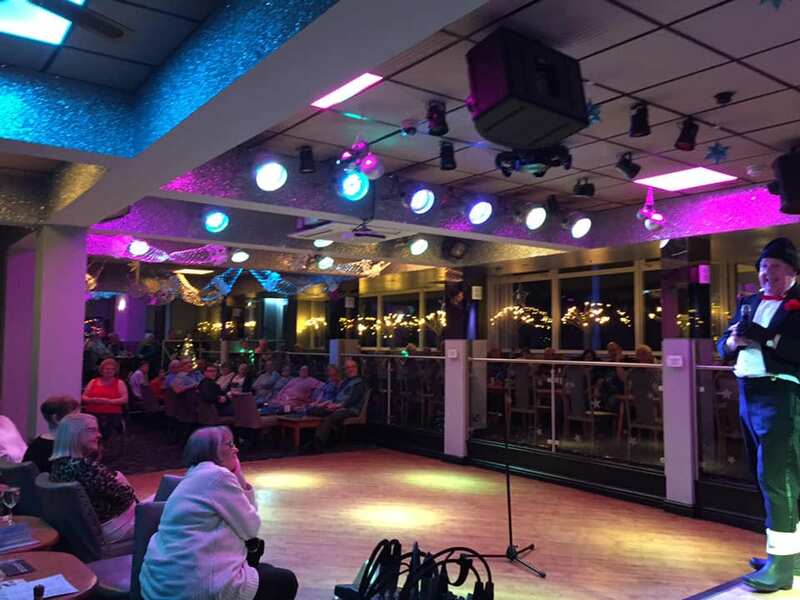 Find out where Jimmy is performing by viewing his tour dates on this website.